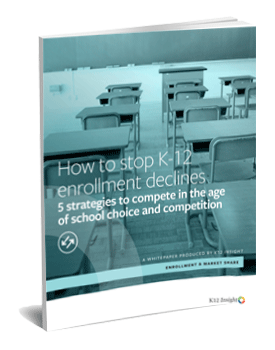 Competition has come to K-12 schools. While more options are attractive to families, public schools pay a steep cost when parents and students choose out. In our latest whitepaper, our experts present five strategies designed to help you level the playing field, retain students and make your schools the preferred choice for students and families. If your schools are losing students to choice this year, this one’s for you.